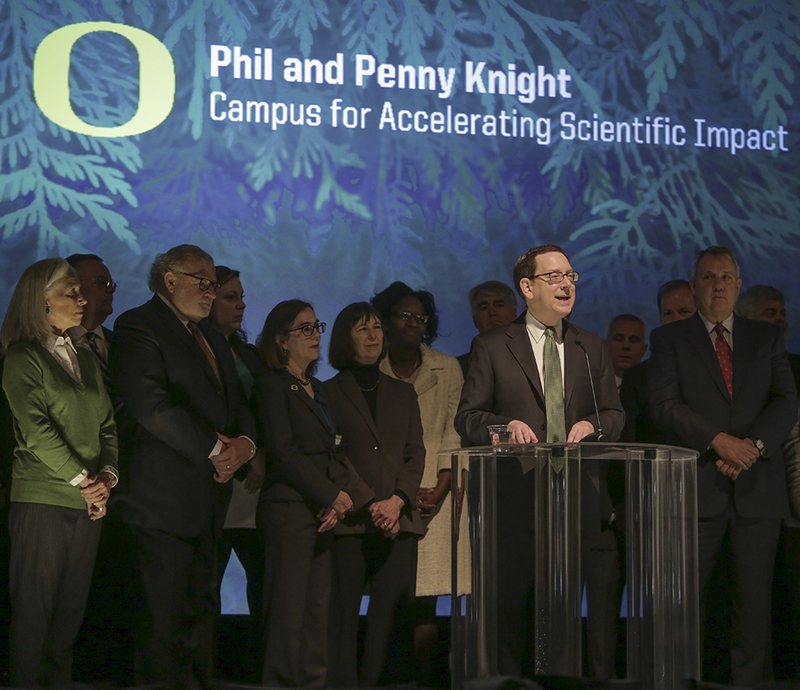 A team of University of Oregon leaders will host two public sessions this fall for faculty, staff and students to learn more about the planning and vision for the Phil and Penny Knight Campus for Accelerating Scientific Impact. President Michael Schill announced Oct. 17 the $500 million gift by Penny and Phil Knight that will launch the new science campus. The Knight Campus is a $1 billion initiative to fast-track scientific discoveries into innovations that improve people’s quality of life. The campus within a campus will work to reshape the state’s public higher education landscape by training new generations of scientists, engaging in new interdisciplinary research, forging tighter ties with industry and entrepreneurs, and creating new educational opportunities for graduate and undergraduate students. Two public sessions are currently scheduled and will be hosted by professor Patrick Phillips, acting executive director of the Knight Campus; Scott Coltrane, provost and senior vice president; and David Conover, vice president for research and innovation. Additional information about the campus will continue to be shared on the Knight Campus website: uoregon.edu/accelerate.